Location: Cabarete, Dominican Republic, on the Atlantic Ocean. The event is being organized by Carib Wind Cabarete. Boats may be required to display identification numbers and event sponsor advertisement in compliance with Appendix 1, Regulation 20.3.1(d). Athletes may be required to wear bibs provided by the organizing authority. Athletes may be required to install on board cameras. Open to any Laser Sailor who is a member in good standing of their own National Sailing Authority. Organizing Committee Office shall receive the individual Registrations from participating individuals by midnight (AST) on January 19th, 2017. Participants shall agree to be bound by the RRS and by all other rules that govern this event. Athletes, coaches and team leaders shall complete on-site registration form at the race office from 5:00 PM to 6PM Thursday January 19th, 2017. Only one set of Sails will be accepted for the duration of the race, except in Master category in which sailors can switch between sail sizes, but than will only be scored in the master category. Master must announce upon registration if they intend to switch rigs. Boats may be inspected at any time, for violation of class rules. The event will consist of a maximum of 9 races if all races will be sailed in Open Ocean. The committee can decide for any reason to conduct inside bay courses. When inside courses are sailed the maximum number of races will be 14. The competition will be conducted on Windward Leeward courses when run in open Ocean. In-bay courses will depend on wind and wave direction. The Sailing Instructions will be available at the Laser Training Cabarete, no later than 0800hr on January 20th, 2017. The low point scoring system (Rule A2) will apply, modified so that each boat’s score will be the total of her race scores with her worst score discarded if five or more races have been completed. A minimum of 3 races is required to constitute a series. * Their overall finish in the general result list will determine Master, and Women overall winners. Top finishers in each category will receive a trophy. 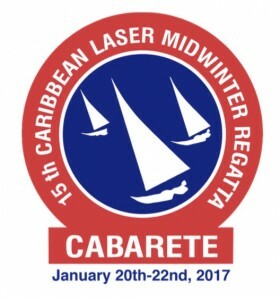 By participating in the Caribbean Laser Midwinter Regatta, an Athlete automatically grants to the organizing authority and its sponsors the right in perpetuity to make, uses and show, at their discretion, any motion pictures and live, taped or filmed television and other reproductions of him or her during the period of competition without compensation. Athletes participate in the regatta entirely at their own risk. See rule 4, Decision to Race. The organizing authority will not accept any liability for material damage or personal injury or death sustained in conjunction with or prior to, during, or after the regatta. Limited number of race boats with blades, spars, and dollies are available at a price of $375.00. Organizers will be happy to assist with hotel bookings. For additional information about Travel, Accommodation, Charter, Full Schedule, Facilities, Venue, Weather, Services, etc.